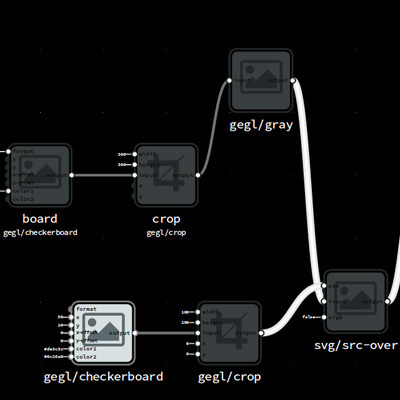 Workshop by Jon Nordby (Norway) where we will use visual programming in Flowhub to createcustom sensors, interactions and sound experiences. As a basis we have microcontrollers (Arduino) wiredwith sensors, both off-the-shelf and custom-built. SuperCollider to create sound from these. to be completed during the festival. Sign-up: by email to nathalie(((@)))pixelache.ac. Please describe in 2 sentences your festival idea. 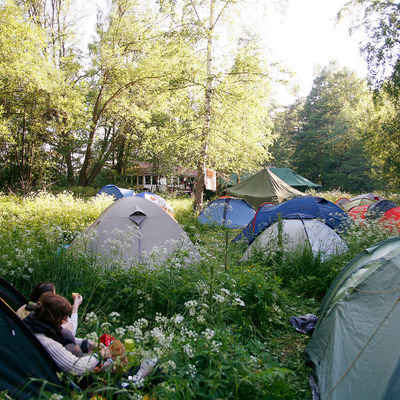 Do you have an idea for a festival (of any kind, big or small) that you would like to develop? Are you looking for feedback, perspectives and support from peers and perhaps for possible collaborators? 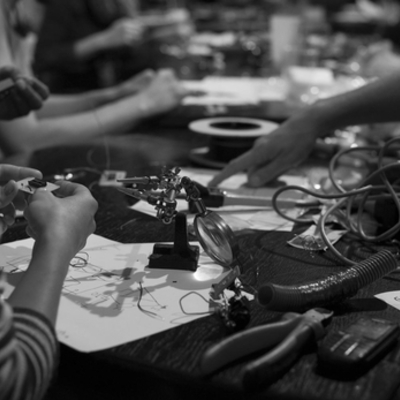 Join our DIY festival making workshop! 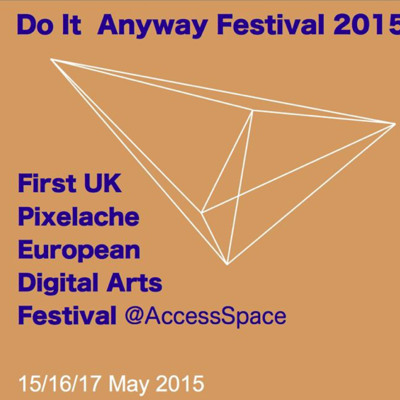 In the context of Open Sourcing Festivals, our UK partnerAccess Spaceis gearing up towardsDo It Anyway 2015, their first ever festival as well as the first manifestation of a Pixelache Network festival in the UK. Do It Anyway is also the closing event for the whole Open Sourcing Festivals process. 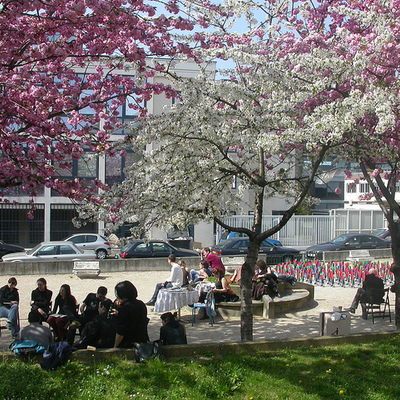 The event will take place during the week end of15-16 Mayin Sheffield. Over the weekend the festival will feature free digital arts performances and workshops. Follow programme updates in the coming weekshere. HlöðverSigurðsson plays a musical improvision using interactive graphics. The music is performed through a computer program, programmed by the artist to control the performance. The composer uses Overtone to program chords and sounds, usingglitches and noise to create an unpredictable outcome. 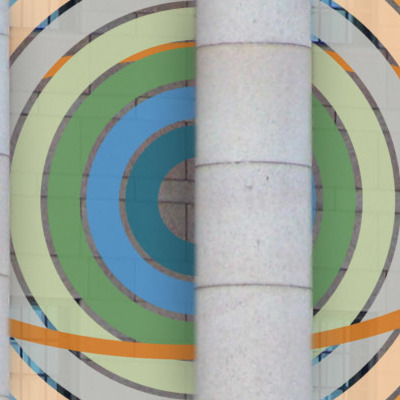 The graphics are created by connectiong sounds from colorand pattern parameters in the graphic via GLSL programming.All programs used are published under the Creative Commons or MIT/BSD/GNU. In the context of Open Sourcing Festivals, and as the closing event of Mal au Pixel’s one year long Pixel_Lab workshope cycle, a full week-end ofperformances, talks and workshops, addressing technologies and innovation critically with an ecological sensibility, is organized at la Gaîté Lyrique in Paris during 24-26.4.2015.